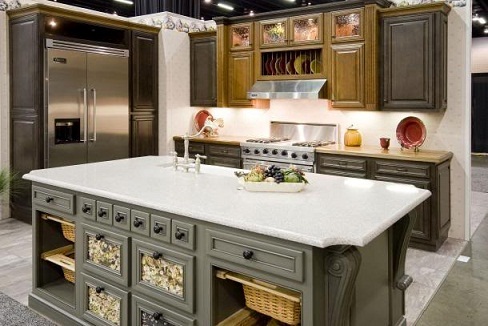 Choosing kitchen cabinet decor is a simple expression of YOUR taste. However before you choose your favorite style of cabinets try to envision what accessories you'd like to see throughout your kitchen. 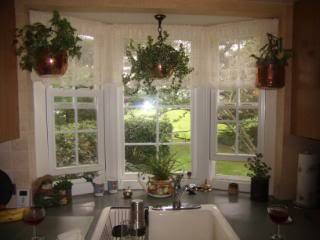 Perhaps instead of decor you can dress up your earthy kitchen with organic items such as potted flowers, or greenery. Do you have a collection of antique dishes you want to prominently display in your kitchen for everyone to see? Perhaps you love the look of bright multicolored pottery and want to showcase it throughout your kitchen to match the bright sunny color of your walls. 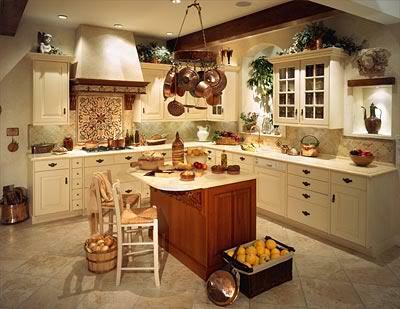 Do you regularly preserve foods and wish to display your wares on open shelves as part of your kitchen cabinet decor? All of these ideas are wonderful as well as practical ways to show off your personality while creating a design theme that is undeniably you! By determining what you wish the focal point of your kitchen to be you can base your decision on which types of cabinet styles you need. A built in open shelf cabinet in crisp white would lovingly showcase the jams and jellies you have worked so hard to harvest while adding a vintage appeal to your kitchen cabinetry. Bringing in stainless steel appliances to this kitchen style can add a distinctively modern throwback to the theme while appealing to the eye. If you wish to show off bright splashy pottery, insist on at least a couple of glass mullion doors within your cabinets. Not only does this add depth and style to your kitchen but it also highlights objects you wish to display in your kitchen. 1) Make sure accessories and objects displayed are to scale and in proportion to the kitchen. 2) When grouping more than one item, try to balance a larger object with at least two smaller ones. 3) Finally, keep wall displays hung at eye level. Still looking for that special accessory or accent to add to your kitchen to give it a sense of individuality? Here are some great items that will lend a sense of style and eye appeal to your kitchen.